There are above more than a million varying insect species in the world, and in varying forms they are able to bite, sting and spread disease … or just be a complete annoyance. The no obligation phone consultation service is offered both residential and local business customers in the South London area. No insect job is too big or too small for our team to take a look at. Where suitable we are able to advise on any kind of immediate action required to safeguard your health, property or belongings prior to a visit. 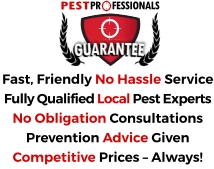 If a visit is required we let you know if there will be a call out fee and also advise on the likely costs of any insect treatment should it be required. Beetles, lice, moths, spiders, wood lice, sliver fish, carpet beetles, flies, wasps, ants, fleas, cockroaches, bed bugs and parasites are all insects we typically deal with. Whatever the issue, we can help. Identification is the initial step, after which we can proceed with advice on how best to tackle the issue. A solid knowledge of entomology and professional strength insecticides is required to swiftly and successfully deal with insect outbreaks, as different insects require different products and a varying strategy. 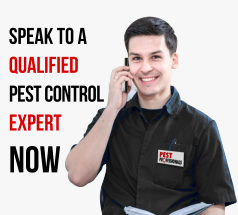 All of our pest professionals are fully qualified and experienced in dealing with a variety of insect problems. Give us a call now for a completely free consultation. There are over 4000 beetle species in the UK. Carpet Beetles, Hide Beetles and Larder Beetles are among some of the most common pests. Carpet beetles are a particular indoor pest. They are incredibly destructive to woollen items, furs, leathers, fabric furniture and carpets, but can be successfully tackled with professional strength insecticides. It’s not the moths themselves but their larvae which are the issue as they are able to feed on dry stored products and fabric and can cause significant (and expensive) damage. There more than 2,000 UK moth species but four are a particular problem indoors– the brown house moth, the white shouldered clothes moth, the common clothes moth and the case bearing clothes moth. Can be tackled with traps, monitoring and heat. Amazingly, there are believed to more than 7,000 fly species in the UK. Cluster flies are a particular pest as they cluster up indoors in their thousands in winter. We do however treat many kinds of fly problems including house fly and fruit fly infestations. There are some 650 spider species in the UK of which only about 12 are believed to bite, including the false widow spider (pictured). Common species found around the home include the house spider and daddy longlegs spider. Both of these kinds of biting insects are dependent on water and their presence indoors may mean some attention to proofing is needed. It’s the females that eat your blood, but in the UK they are not believed to transmit serious disease. If you require sound advice or rapid solutions to your insect problems anywhere in South London or the surrounding Boroughs – get in speak to us.